The Tenth National Jazz and Blues Festival. However, by this time, the National Jazz and Blues Festival fortunes were beginning to wane. It could no longer be said to be the most prestigious , or largest Festival in the UK summer calendar . In 1970 there was massive competition for the festival punters pound from the mega festivals at Bath and the Isle Of Wight . The international line-up of both these giants dwarfed the line-up of UK bands that the National Jazz Federation promoters had signed up and consequently there was a fairly low turn out for this festival . Barely 12,000 for the Friday concert , although I don't know the exact figures for the entire festival. 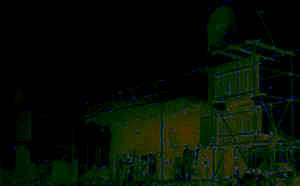 To some extent , this led to a change in direction . Future festivals abandoned any pretence of being jazz or folk orientated and in some ways the move to Reading the next year was symbolic of the changes that went down in the Nat Jazz and Blues booking policy. Festival line-up and time line. For the first- and I believe last -time the festival was expanded to spread over four days. The first day was billed as a showcase for local bands and as such only attracted a limited audience. Its noticeable that by now the Jazz, Pop and Ballads content of the show had been reduced to almost zero and that is reflected in the design of the advert on the left. The prominent BLUES FESTIVAL tells it all . I suppose that Colosseum could be construed to have some jazz content, but Chris Barber is the only jazz act on the whole bill. There was a no show on Sunday night , with Ginger Bakers Airforce stepping at at the last minute and playing past the curfew time to boot. However, we still don't know who they replaced, can anyone help ? 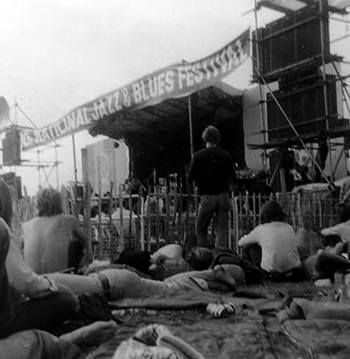 Although the festival was marketed as a Blues mecca, there are none of the overseas imports which were sprinkled amongst the earlier bashes , in fact there hadn't been an overseas artist of note since 1967, when Zoot Sims and Yusef Lateef had been the jazz stars of the weekend. Overall in fact this festival line-up was comprised of middle of the road bands and was nowhere near as strong as the 1969 line-up, which had boasted Pink Floyd and King Crimson. There was also a lot less competition in 69. 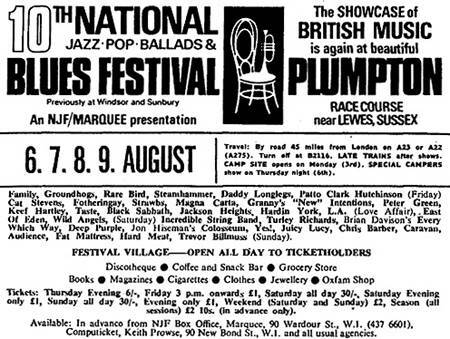 In 1970, Hollywood , Bath, Phun City and the Isle Of Wight were all held within weeks of Plumpton and most of them had much bigger artists on show. All the practicalities mapped out and there were no births or deaths or mass invasions of police so you could really relax in a peculiarly British type of way. Although many of the bands were third and fourth division at the time there were some excellent sets from bands that went on to be mega (Deep Purple, Black Sabbath etc). I remember the Groundhogs, Family, Fotheringay and Yes as particularly impressive. Yes played at around 7.30 on the Sunday in chilly but clear weather and people took the wooden chairs from the press area and made a bonfire about 30 yards back from the stage. Jon Andersen was in great voice and the evening turned into one of those glad to be alive experiences. 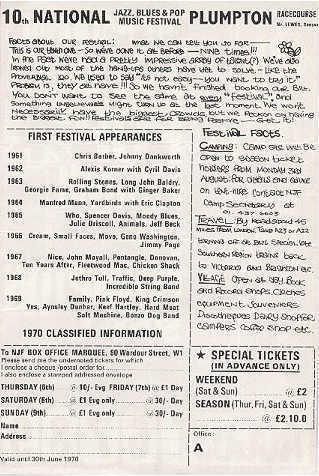 I was just "surfing the net" when I came across your site on the 1970 Plumpton festival . It certainly brought back some wonderful memories for me - although I suspect most of the time I was not capable of remembering too much. About the only thing I really remember is sitting in the back of the Ford Transit van we had hired and listening to Black Sabbath. always wondered why I had albums from Colosseum, East of Eden, Hardin and York in my record collection. I now realise I must have seen them first at this festival and then bought their albums. I do remember how impressed I was with Colosseum. 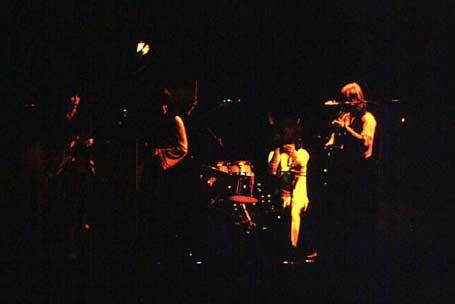 So much so that I went to see them again at the Albert Hall where they were second billing to Steppenwolf. I was actually in Brighton last year, and with my wife drove through Plumpton but had no idea where the festival was held - until now. We actually drove past the racecourse. Such memories. Now to the Bath Blues site for some more. Thanks for a great site. Bookmarked for further examination. I only remember the one stage. Went to plumpton in 1970 and was actually employed as a part time security guard.Job entailed no more than guarding a jump fence or hurdle overnight to stop punters from dismantling them for firewood. Luckily the stage(I only remember one)was set across the inner part of the course backstage 1 side and punters the other.The chaps that were guarding the peoples end had all sorts of problems apparently,but I was at back stage end and spent a very peaceful time. Maybe my memory is going but I do seem to remember deep purple setting fire to the stage because the organisers wouldn't let them play on into juicy lucy's slot although they hadn't turned up.I'm probably wrong on this score,but the rumour on the street at the time gave this as one reason for the festival moving to Reading. I was 15 then and staying in Eastbourne UK as a summer school student. Our teacher taught us English with song records from the "top of the pops" and their printed lyrics. I was brought there by a german friend telling me we were going to see "bands"
It was a tremendous encounter with the rock scene for me, since I was only able to listen to recordings on radio and vinyl records. (Who came to Israel to give concerts in the late 60's and early 70's?) I was mostly impressed by John Hiseman - Colosseum -, all the crowd stood up and applauded his 14 minute solo. I bought their records from then on. Deep Purple Gave their "Black Night" in premiere then and as usual, put one or two speakers on fire; It was better indeed than just listening to these giants. Two years later I was working as a DJ in the school discotheque. Re the seats at the 1970 festival, we were at the very front of the non-seated area... the seats were presumably for press and VIP's, but Hell's Angels had moved in by late afternoon. Good concert though, highlighted by Deep Purple setting fire to the stage back-cloth (presumably planned). The Festival was gradually becoming more insular and less eclectic in its choice of acts. Progressive , Heavy and Blues Rock based acts were becoming the order of the day and the classic blues and jazz element was on the way out. Folk/rock acts were still present, but these would gradually fade in the next years too. As always the festival had mirrored the changes in popular music , it had to do so , or lose money, but it was sad to see the wider mix of music disappear , as it was something that made the festival unique in the British music scene. 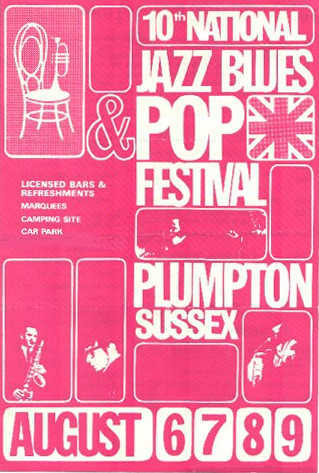 Known recordings of the 1970 Plumpton festival. With set lists , photographs and recording details if available.